Last we heard from friend of the program and A Song Of Ice And Fire author George R.R. Martin, he insisted to Deadspin that he had pages. 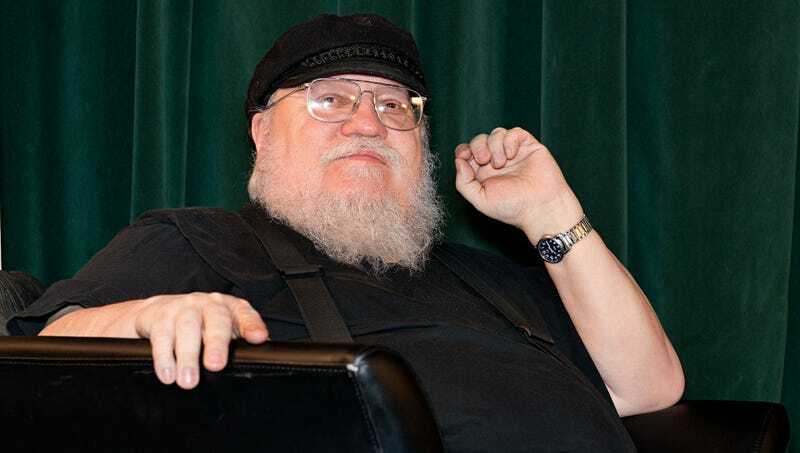 There have been occasional page dumps in the intervening months, but these are old pages, and there is precious little evidence that GRRM is hard at work on crafting The Winds Of Winter, the interminably awaited sixth book in the series. He’s read or posted a dozen chapters, which would make for about a sixth of a book. However, despite the low chances that he has a stash of pages, rumors about an impending release for TWOW continue to swirl. A Polish translator caused a brief flurry last October when he said he was setting aside a block of time to translate the thing. This week, Amazon France accidentally posted a release date for TWOW: March 9, 2017. As his publisher, we support George RR Martin as he works hard to finish The Winds of Winter. Any on-sale dates currently listed online for the novel are incorrect. Once we have a publication date for The Winds of Winter, the world will know. We will update this post if we hear back.